not to be slanderers or addicted to much wine, but to teach what is good. Then they can urge the younger women to love their husbands and children, to be self-controlled and pure, to be busy at home, to be kind, and to be subject to their husbands, so that no one will malign the word of God. What does Titus 2 really mean? What is mentorship? The Word of God tells us to come along side one another. We need mature Christians in our life to lift us up and help us. And we need to be there for the younger ones. Over and over again we receive emails, Facebook comments and blog comments from women just like you. Women who do not have a mentor and do not know how to go about getting one or don't know how to be a mentor to others. We are told in the Bible to encourage one another. To teach one another. Life is too hard to do this alone. We need each other. But how? How do we find someone to come along side us and mentor us? How do we know how to mentor others? 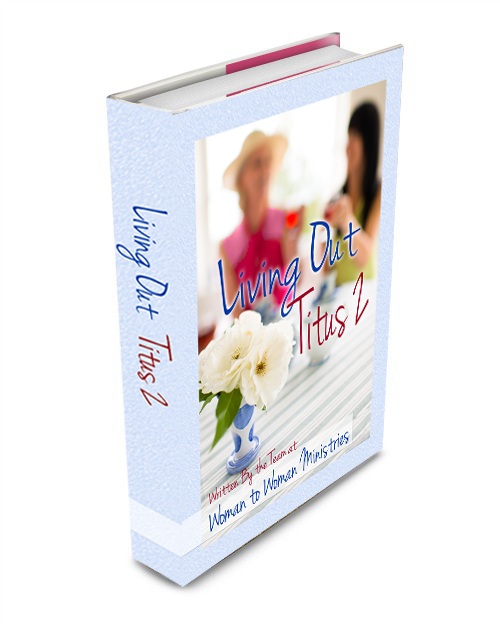 We are so excited to announce the Living Out Titus 2 ebook! A book written by 8 women with a Titus 2 passion. It's a book to teach you what it means to have a mentor and how to be a mentor. Living Out Titus 2 will be available for only $2.99 through Amazon on January 1, 2014. This book will encourage you to find a mentor and be a mentor.